I finished up the two remaining blocks of the Sew Happy Quilt QAL on Sunday and although I already gave you a photograph of all of the blocks together, here is another one. Decided to get a bit creative and pin them to my north facing fence for a different look. My favorite block is the QST Pinwheel - the first on the left in the second row but my proudest accomplishment is the Foundation/Paper Pieced Quatra Star block (second on the left, second row) as I tried this new approach to piecing a block and it worked. Jenna of Sew Happy Geek posted a very helpful video about the construction of the Foundation/Paper Pieced Quatra Star block on YouTube which I watched over and over again on my iPad while working on this block. Probably took me two hours to make this block but it was worth it when I opened up the block after that last seam was sewn....and the points matched. Success! One of the hardest things about my father passing away is missing my mother all over again and as we work to get his house ready for sale I am having to take items that I've looked at my entire life and decide where they go. Yesterday I brought the Teacups into my own home and for me it was bittersweet. 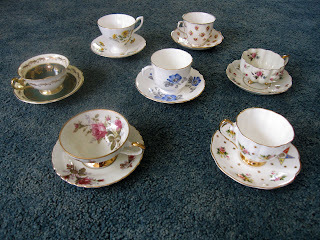 The Teacups were my grandmother's and they have been displayed in my parent's home for as long as I can remember. Apparently my grandfather would purchase a teacup for my grandmother when he traveled away from home, delighting her upon his and the teacup's arrival. The historian in me would love to know where he went but that's a search for another time. I've loved these Teacups since I was a little girl and now they are mine. Strange thing about life: when you are told practically all of your life that something will be yours someday...and you just put it out of your head because you know what it means when it becomes yours....and then it is yours....it's truly bittersweet. Someday soon I plan on having my girlfriends over for tea while using the Teacups and toasting my mother and my grandmother. 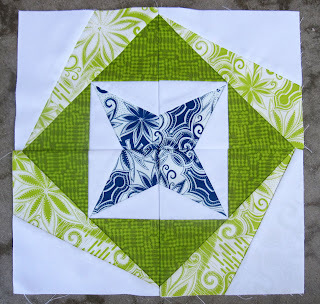 Ok linking up to Lee at Freshly Pieced for WIP Wednesday. I love the tea cups. That would be such a fabulous historical search, discovering where each one came from and the corresponding dates. Your blocks looks fabulous - can't wait to see the finished quilt! Your blocks are beautiful Susan. 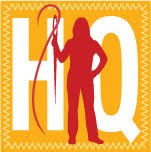 Congrats on that pointy paper pieced block! It looks fantastic! I certainly understand your feelings about the teacups. I still have a big rubbermaid container of various things that were my grandmother's that I just can't put away anywhere. When I open the container it smells just like my grandmother and I don't want that smell to go away. Beautiful teacups. My daughter has started collecting them too. It would be lovely to know where each came from. 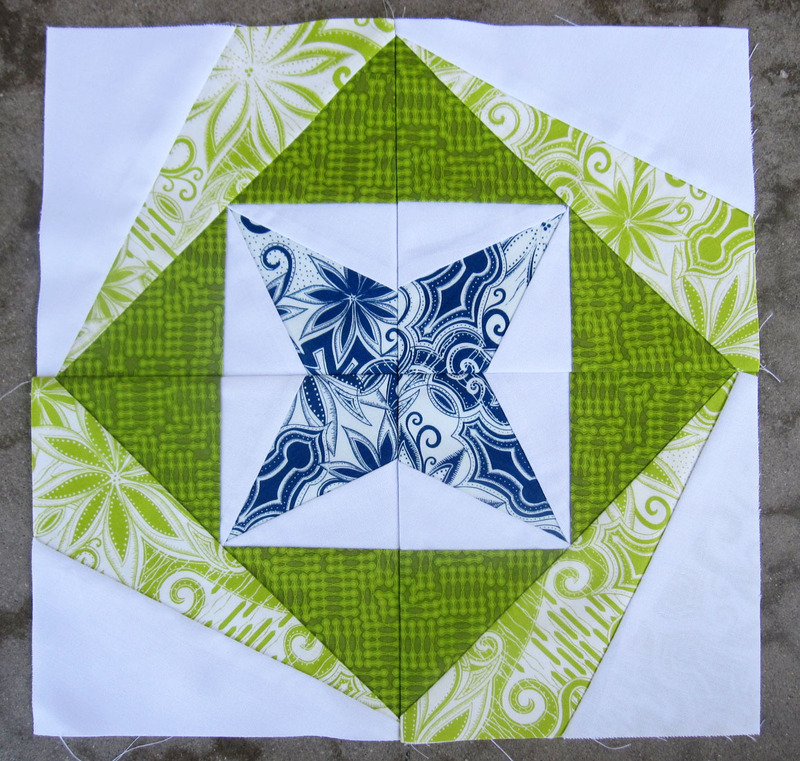 Congratulations on your paper pieced block. It looks fabulous. The blocks look great! I wouldn't have chosen these colors for myself, but I love them together so I think I might need to reconsider. Nice work. There is a set of rotary templates that helps make the 60 degree pieces. Paper piecing was probably easier. My MIL has a collection of teacups as well. Some have larger plates called sandwich plates. I like the idea of a tea party. Nice idea. Those teacups are beautiful! Nice find.